Forged from the extreme conditions of racing environments and used in some of the most demanding industrial/military environments on the planet, Turbonetics patented bearing technology has revolutionized turbocharger standards of durability and performance. 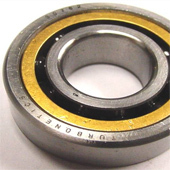 Turbonetics offers a patented Angular-Contact Ceramic Ball Bearing design. This Turbonetics exclusive design is made with almost indestructible silicone-nitride ceramic balls. A conventional unit has a capacity of 60-80 lbs. of dynamic thrust load. The patented Turbonetics design can withstand anywhere from 1000 to 2500 lbs. of loading depending on the frame size. The "angular-contact" feature offers extreme strength because it is used as the loading surface instead of softer, weaker parts in standard units. What does this mean? It means the turbocharger is exceptionally durable in high pressure ratios, is not susceptible to thrust failures common with standard bearing turbos, and will provide fantastic transient response. Turbonetics' patented High Pressure Ratio/High Efficiency compressor aerodynamics allow for reliability and performance regardless of your boost pressure requirements. 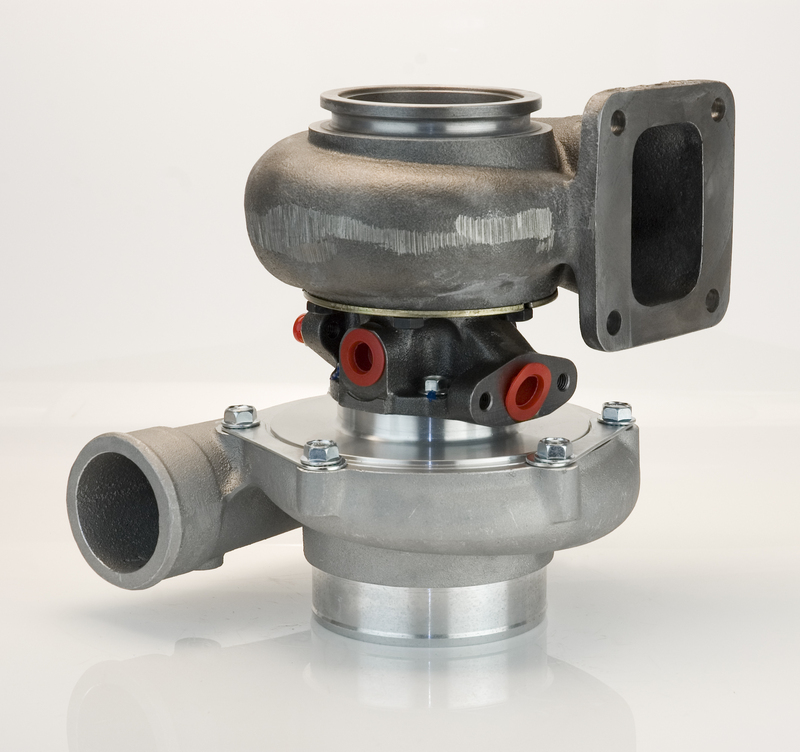 Our high pressure ratio turbo designs are being utilized today for unmanned aircraft in extremely demanding applications. In alternative fuel industrial applications this advanced technology allows for greater efficiency and therefore better emissions compliance. Along with our full engineering staff ready to help you match turbochargers for your specific requirements, Turbonetics utilizes compressor and turbine component balancing as well as multiple high-speed VSR (Vibration Sorting Rig) Core Balancing Machines. "Core balancing" ensures a turbocharger rotor assembly is balanced in its final assembled condition, at close to normal operational speeds. This process minimizes bearing loads and vibration, producing a quiet and reliable turbocharger with a long service life. Turbonetics can address your specific application needs with a wide variety of standard product or ground up custom designs. Please call our sales staff to discuss how we can help you today. How turbos are made from the Science Channel Show "How Things are Made" featuring Turbonetics Turbocharger. 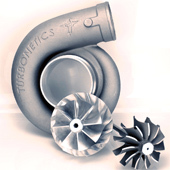 At Turbonetics we offer a large selection of standard turbocharger configurations. In addition, we can mix and match components to create a solution specific to fit your exact needs. See the application specific work sheet to get a turbo configured for your specific application. 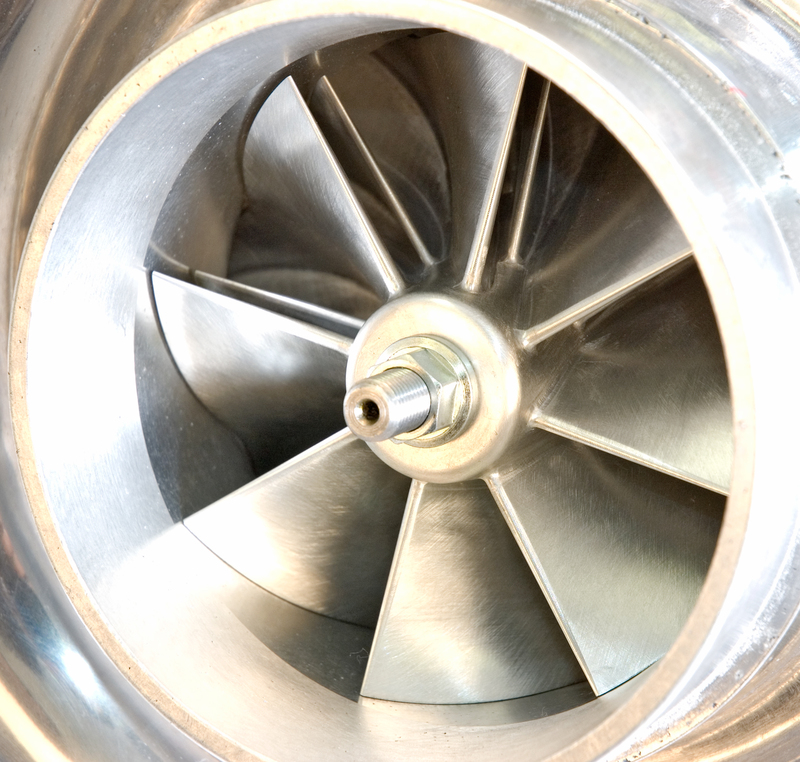 Compressor wheels that deliver pressurized air to the engine spin at extreme speeds. Turbonetics compressor wheels are manufactured from one of three different materials: cast 354 aluminum that is heat treated and Hipped, A-2618 forged aluminum, and Titanium, depending on the application requirements. Computer- aided design (CAD) allows for new blade designs to create maximum airflow efficiency and pressure. Racers and motor-sports enthusiasts continue to strive for greater power, and Turbonetics compressor wheel designs are constantly evolving to meet the challenging demands, and deliver higher boost pressures more efficiently and reliably. Turbine wheels harness the hot exhaust gas energy for the turbocharger. All Turbonetics turbine wheels are made from 713C Inconel, a nickel-based super alloy. This material is much stronger and can withstand higher temperatures than most other turbine wheel materials. Turbonetics exclusive F1-series turbine wheels feature a 10-blade design and tall tip height configuration to maximize the exhaust gas energy and keep backpressures low. Backpressure is the opposite of boost pressure. It is the pressure of the exhaust gas trying to get past the turbine wheel. High backpressure can prevent optimum flow through the engine, limit the turbocharger from making boost and reduce potential horsepower. Unlike conventional turbine wheels, our F1-series design minimizes backpressure to allow the most horsepower possible for a given wheel size. Turbonetics offers a patented Angular-Contact Ceramic Ball Bearing design. This Turbonetics exclusive design is made with almost indestructible silicone-nitride ceramic balls. A conventional unit has a capacity of 60-80 lbs. of dynamic thrust load. The patented Turbonetics Angular-Contact Ceramic Ball Bearing can withstand anywhere from 1000 to 2200 lbs. of loading. The "angular-contact" feature offers extreme strength because it is used as the loading surface. This results in quicker transient response and ultra-fast spooling of the turbo. With Turbonetics Angular-Contact Ceramic Ball Bearing units, you will build boost faster at the line, reach boost sooner in the RPM band and maintain higher boost in between shifts. Sealing is an important process in turbocharging manufacturing and is not common to all turbochargers.Turbine sealing serves two basic functions, one is keeping oil in the center housing and the other is keeping hot exhaust gas from entering the center housing. Turbine sealing is accomplished with stainless steel dynamic piston rings riding in precision machined surfaces. Compressor sealing serves two basic functions, one is keeping oil from migrating from the center housings into the compressor section and the other is to keep pressurized air from the compressor from migrating into the oil system. Compressor sealing is accomplished in one of 2 methods. First and most common are stainless steel dynamic piston rings. The second method is a more positive style mechanic carbon face seal used for applications were a restriction is designed in upstream of the compressor like a throttle body of fuel mixing devise and especially needed in natural gas applications.